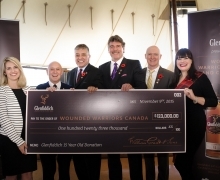 The Glenfiddich North of 50, a once in a lifetime event took place October 22nd – 24th amongst the beauty of the Rocky Mountains at the Fairmont Banff Springs hotel. 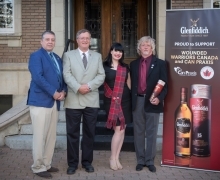 Guests were treated to the best Banff and Glenfiddich had to offer, culminating with the unveiling of the Glenfiddich 50 year old single malt alongside the 30 and 40 year old single malts. These lucky guests are amongst the few to experience this precious liquid and see how our whisky has survived incomparable odds to become a true symbol of discernment and exquisiteness.